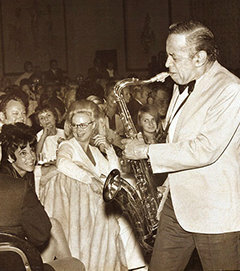 Star soloist Paul Gonsalves performed with the Duke Ellington Orchestra as part of a series of jazz concerts held at the Fort Harrison in the early 1970s. Photo courtesy of Chuck Adams. 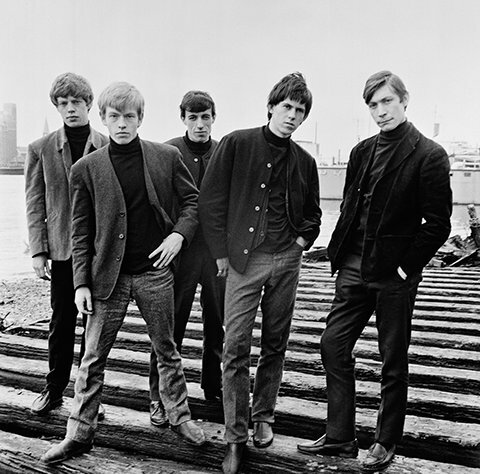 As a footnote in the history and culture of Clearwater, the musical heritage of the area should also be touched on. 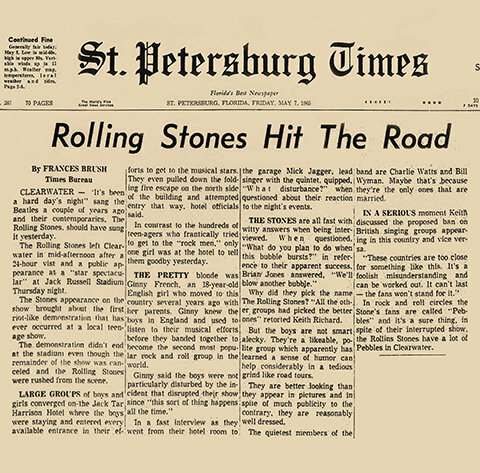 From the early days when Clearwater’s Scarlet Guards band greeted train travelers from the North, to the concerts in the 1940s produced by front-bound soldiers, to the days when The Doors’ Jim Morrison frequented the Clearwater Public Library (and the Francis Wilson Playhouse), to the arrival of The Rolling Stones in 1965 and the jazz concerts that began at the Fort Harrison and eventually became the world famous Clearwater Jazz Holiday, music has been a recurring theme for the city. Now, through large-scale concerts at Coachman Park, to musical theater presented at the Francis Wilson Playhouse, to the more intimate concerts in the newly refurbished Capitol Theater and the Blast Friday street parties, Clearwater has become a destination for music lovers of all ages. 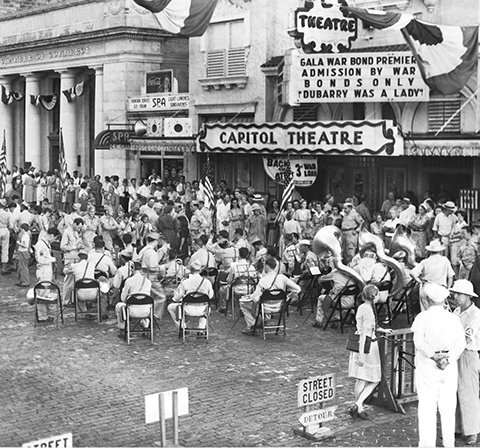 The Capitol Theater was the site of a concert for a War Bond rally in 1943. DuBarry was a Lady starred Lucille Ball and Gene Kelly. 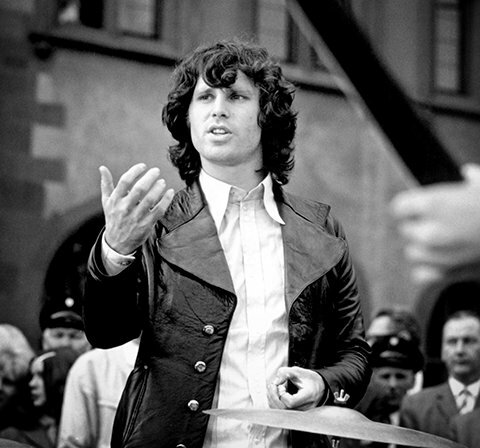 As a young man, Jim Morrison of The Doors, lived with his grandparents two blocks north of downtown on Osceola Ave. Local legend has him frequenting the beach, the Clearwater Public Library and the Francis Wilson Playhouse. 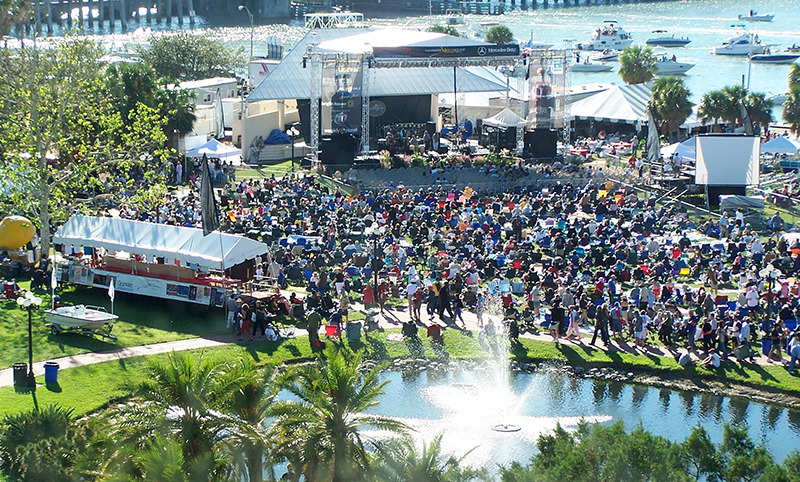 Today, Clearwater Jazz Holiday brings tens of thousands of music lovers to Clearwater’s Coachman Park.